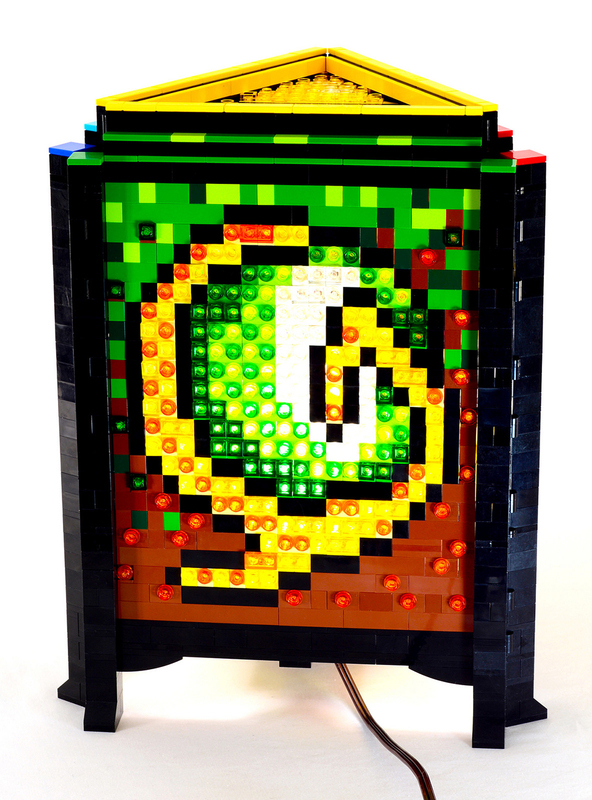 LEGO enthusiast Baron von Brunk made this awesome The Legend of Zelda lamp out of LEGO. 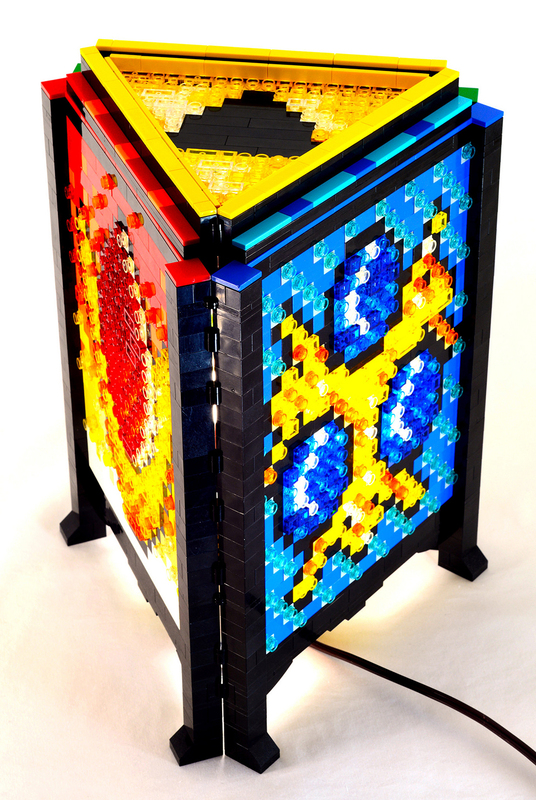 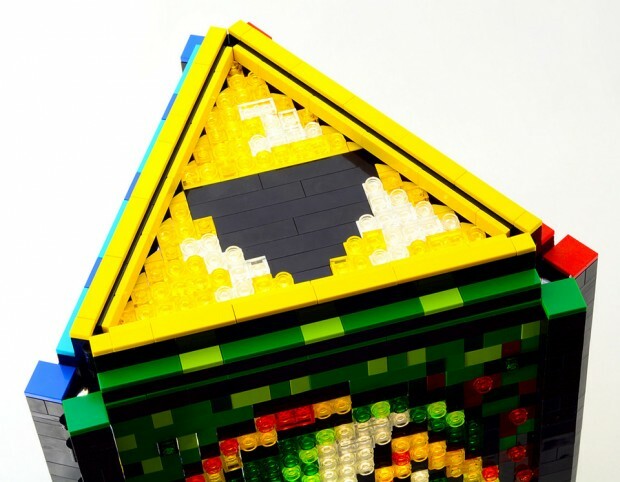 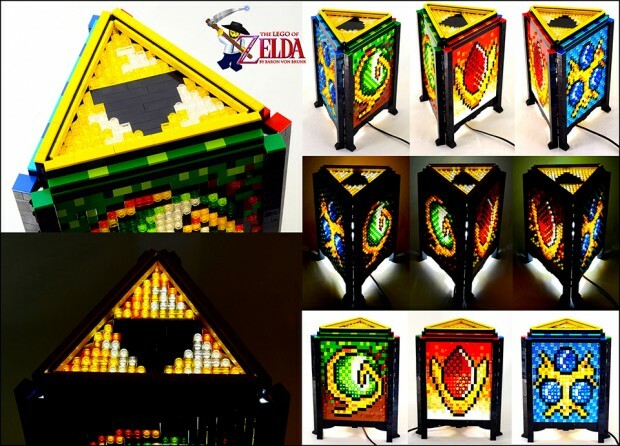 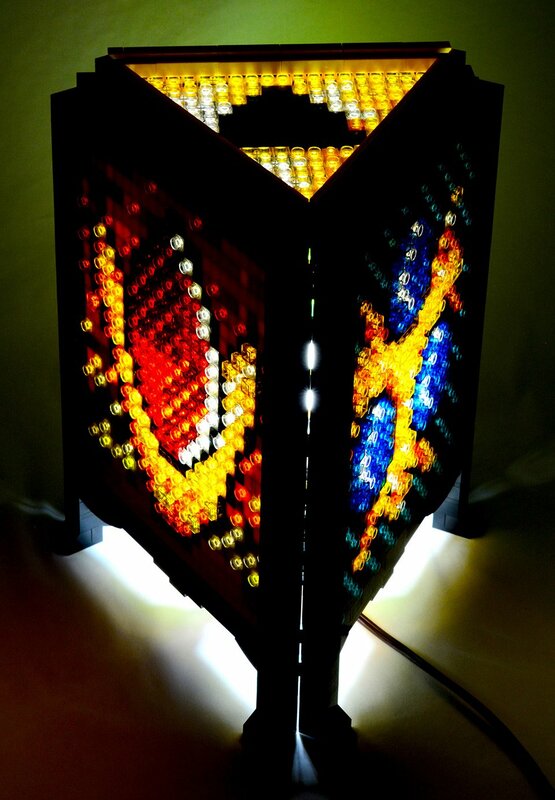 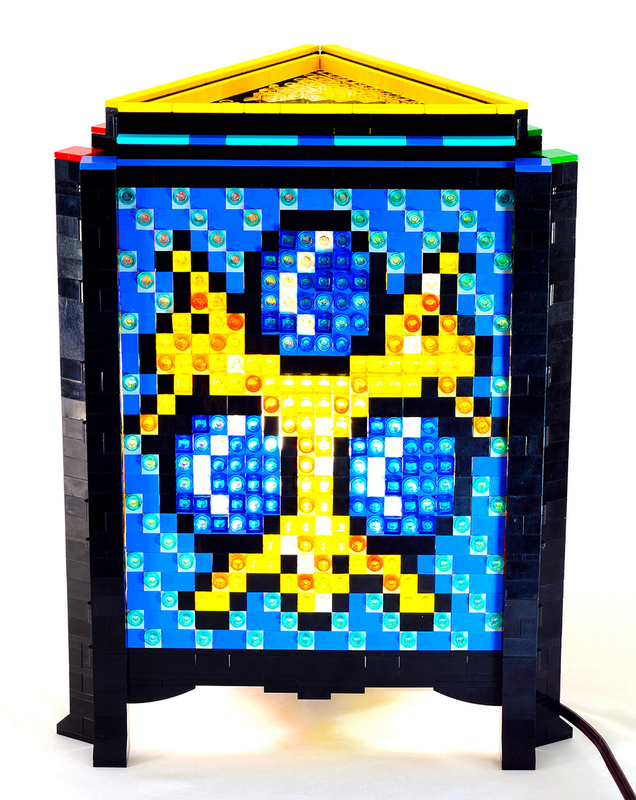 The lamp has “an intricate new triangular fashion that employs LEGO hinge bricks, as well as a SNOT (studs not on top) pattern for the roof.” It features the Triforce as well as his pixelated take on the Spiritual Stones from the Ocarina of Time. 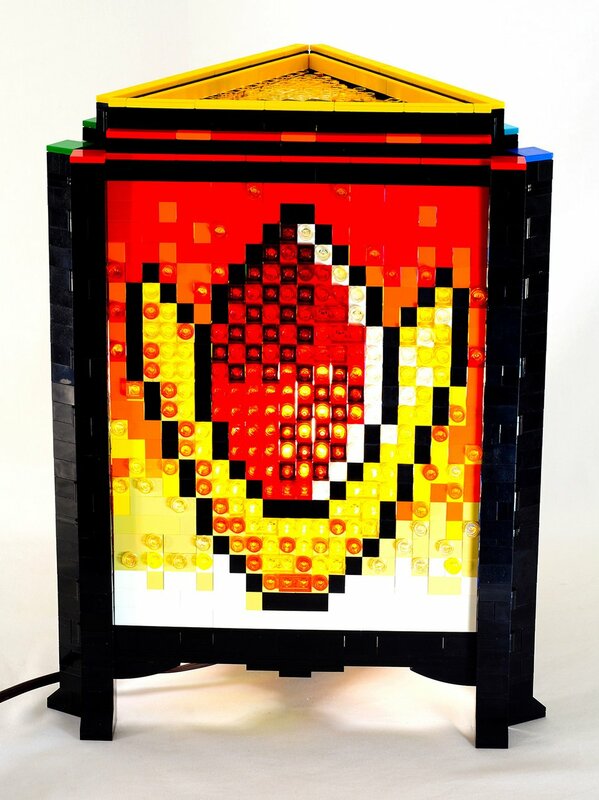 Play the Serenade of Browsing and warp to Baron von Brunk’s Flickr page for more shots of his lamp.